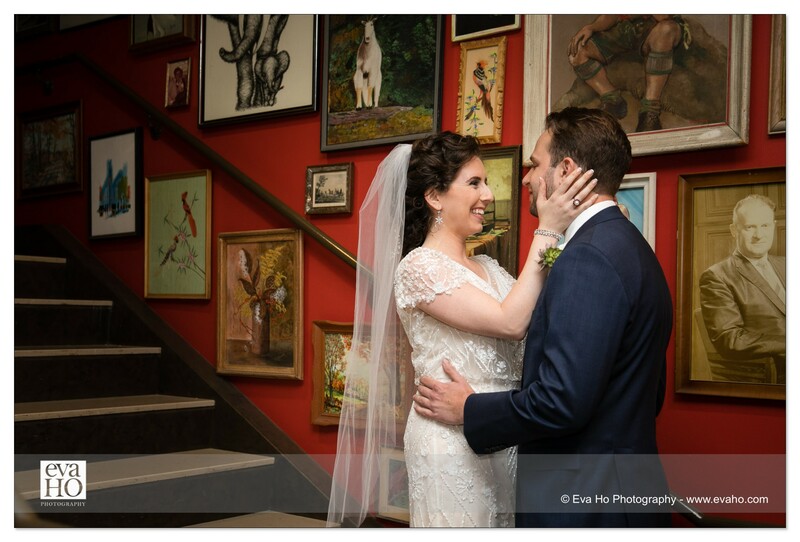 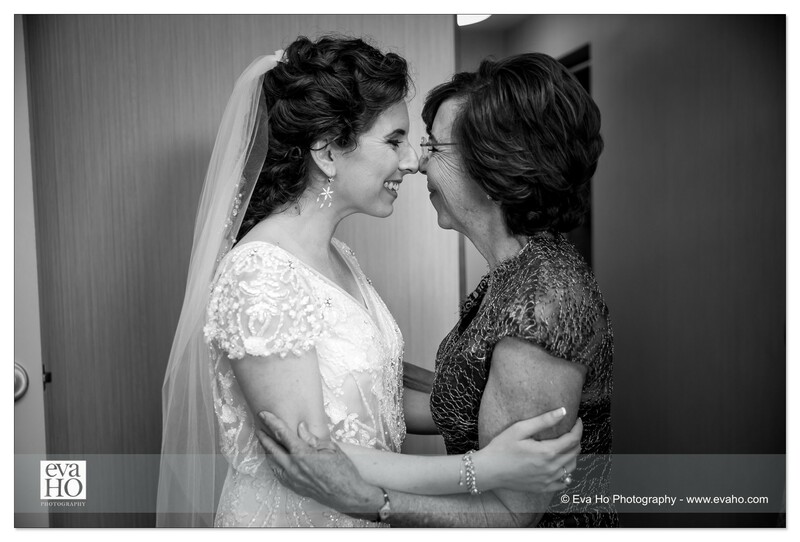 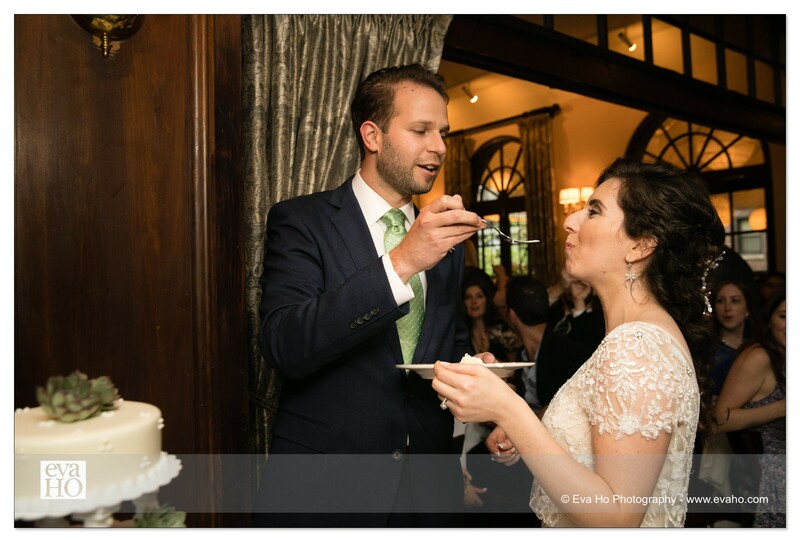 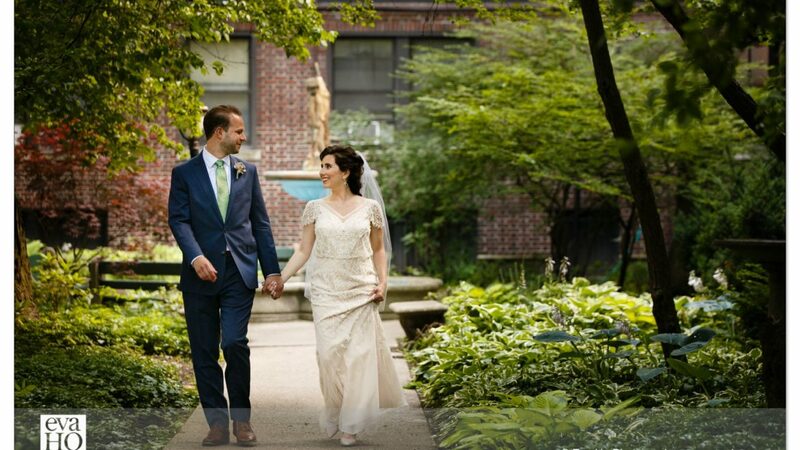 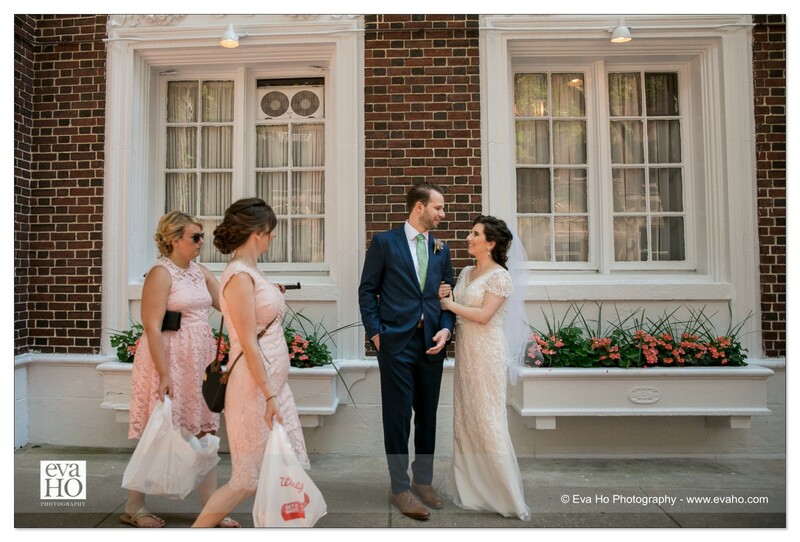 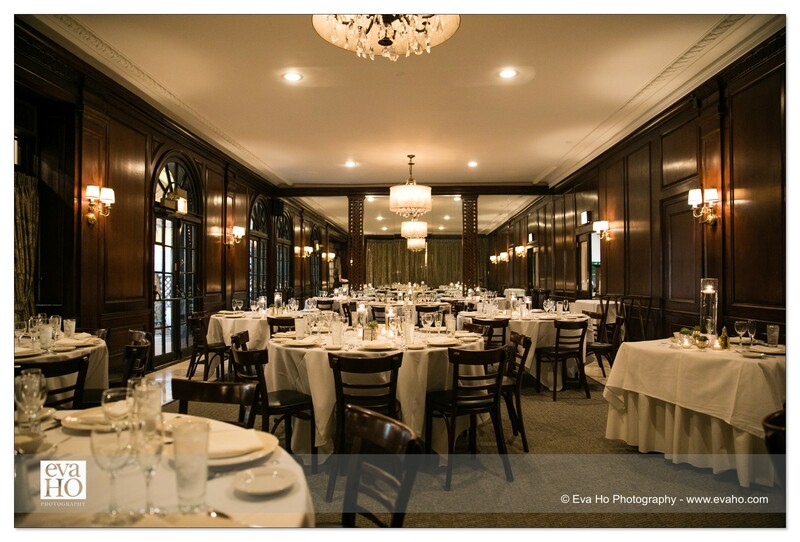 Frank and Erika had a beautifully classic, Chicago wedding that took place in Lincoln Park, the most beautiful neighborhood in the city (though I may be biased since I live there). 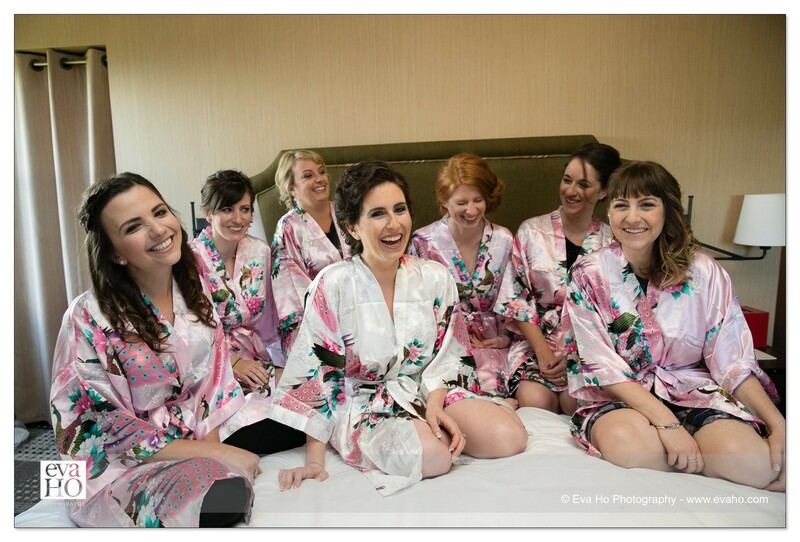 Both bride and groom got ready with their wedding party at the Hotel Lincoln. 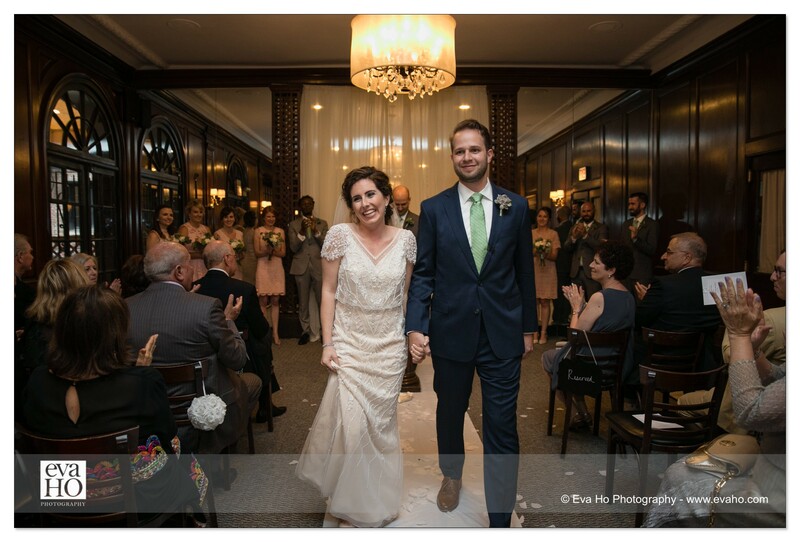 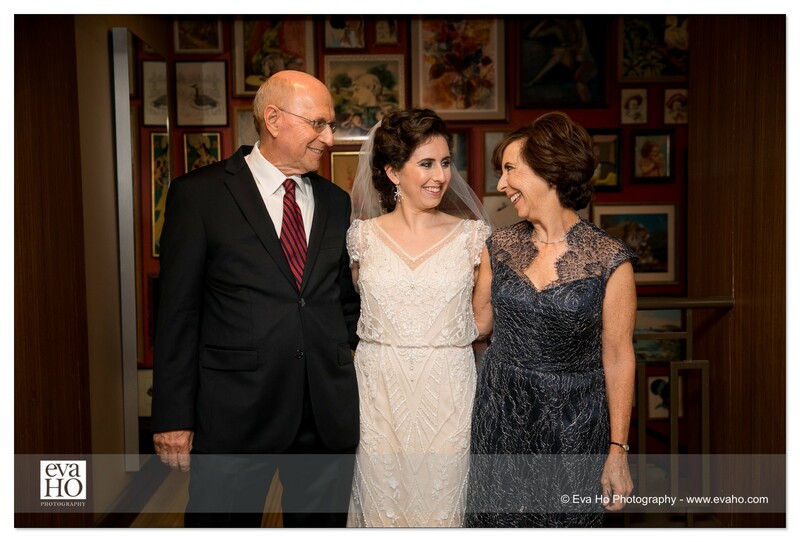 Erika’s dress was a lovely, 1920’s style gown with detailed beading and a loose waist. 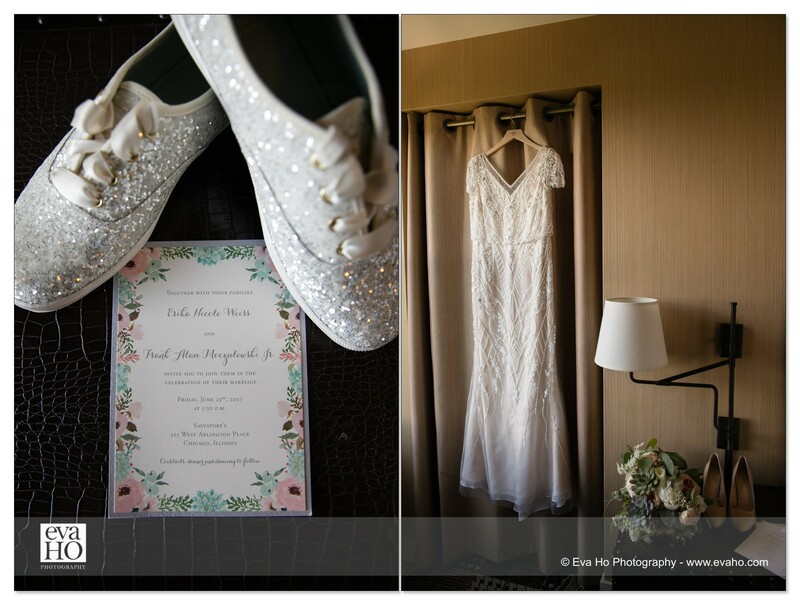 I love that she paired it with a pair of sparkly (and comfy!) 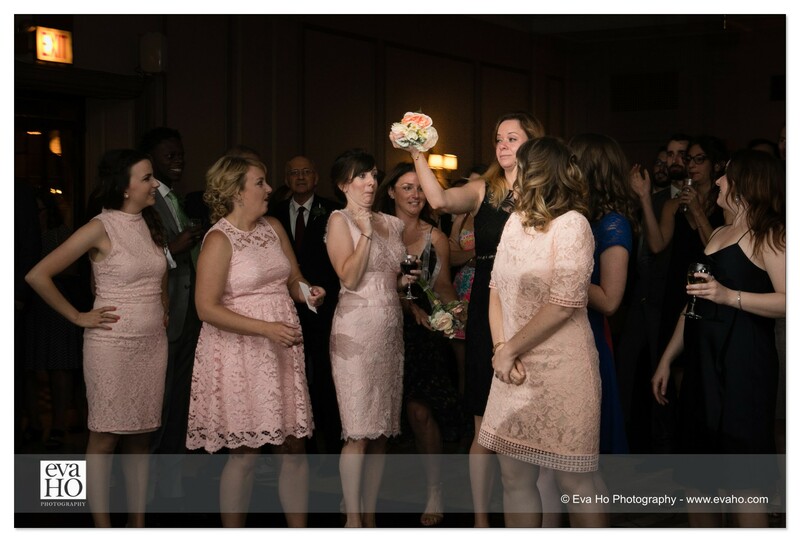 sneakers during the reception! 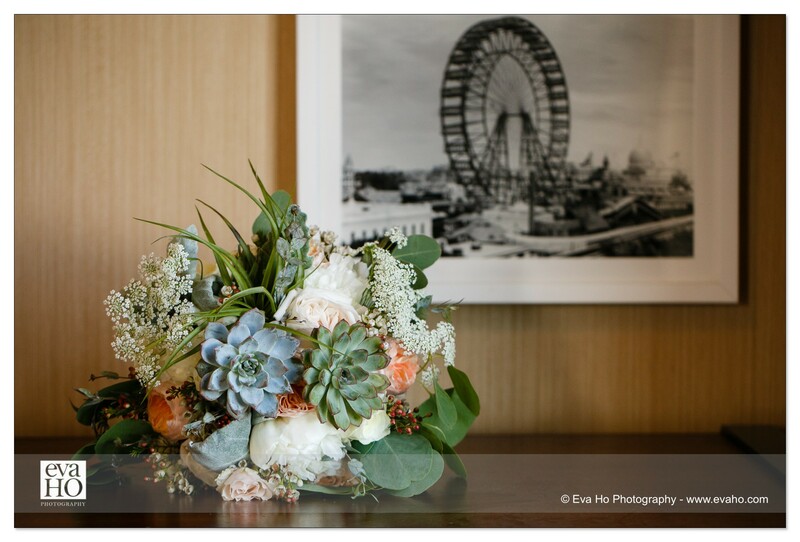 The flowers for the day were completely exquisite: primarily succulents, roses, and baby’s breath. 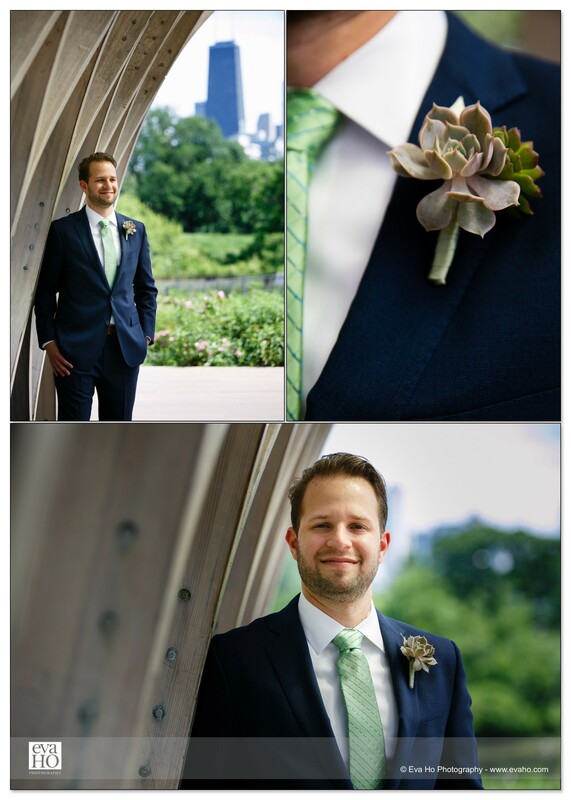 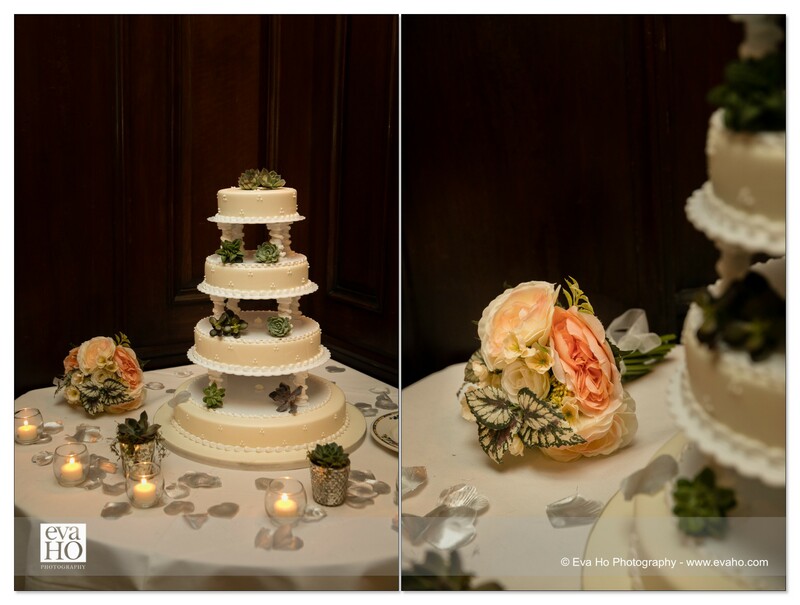 The succulents matched the groomsmen’s light green ties, while the roses coordinated perfectly with the bridesmaids mismatching, lacy dresses. 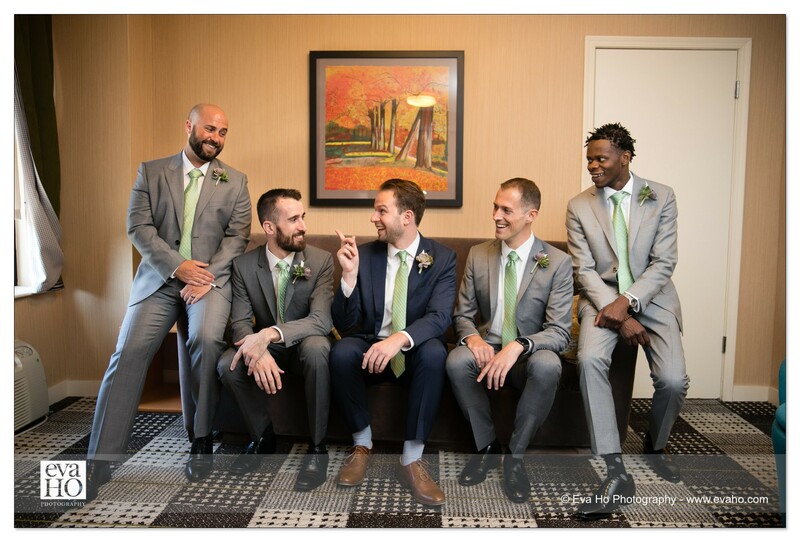 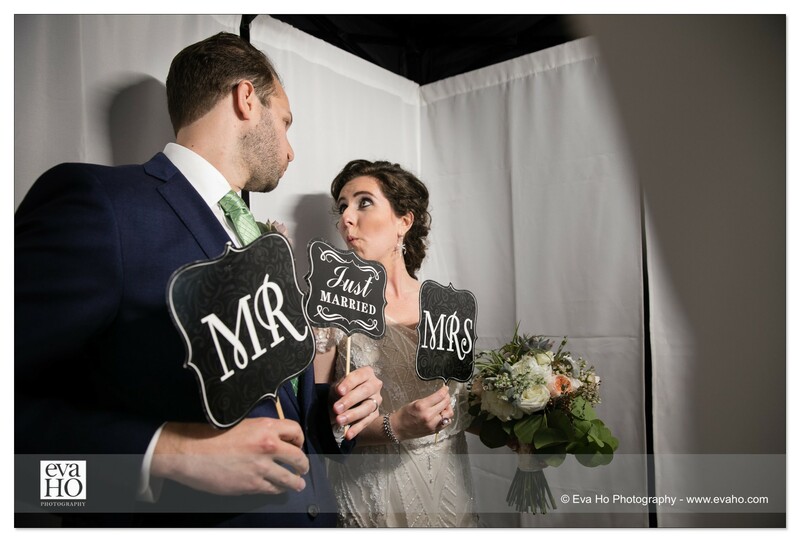 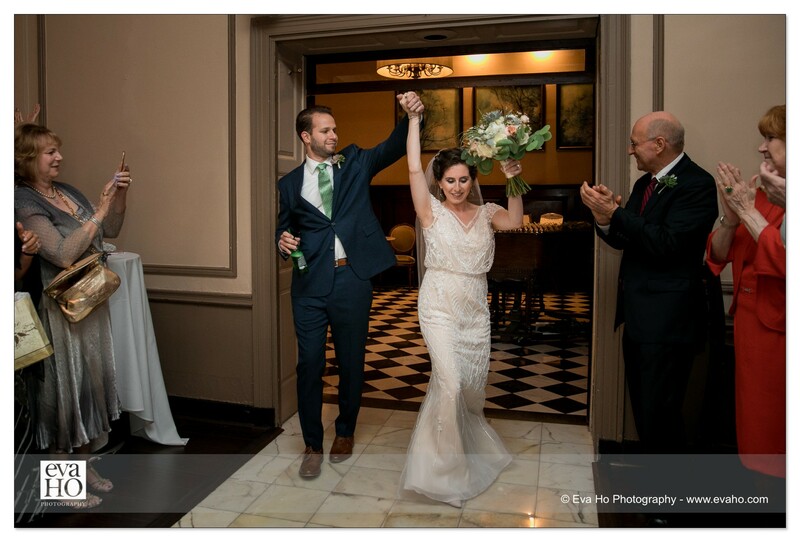 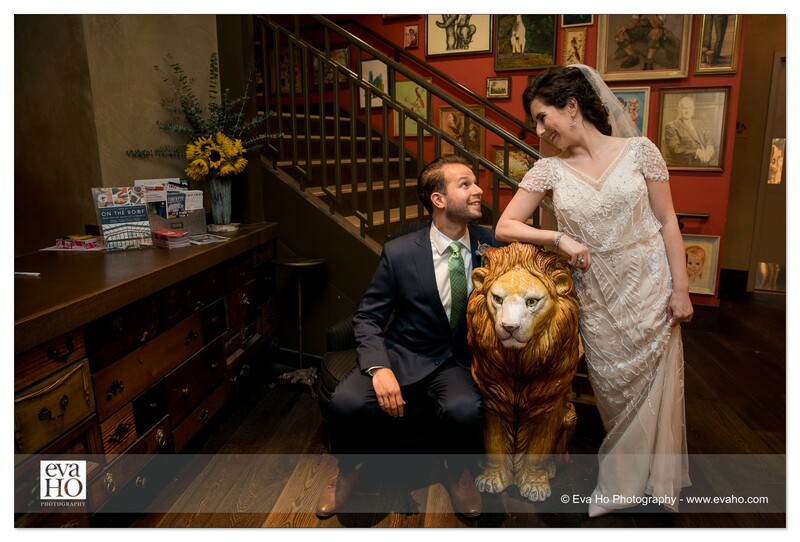 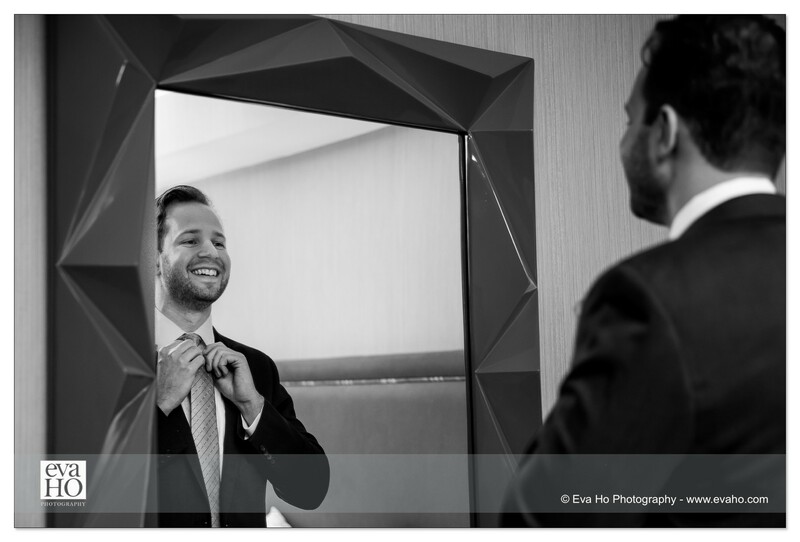 After an intimate first look that took place inside the hotel at the boldly decorated main staircase, the entire wedding party trooped over to the Honeycomb Pavilion near Lincoln Park’s South Pond for some wedding portraits. 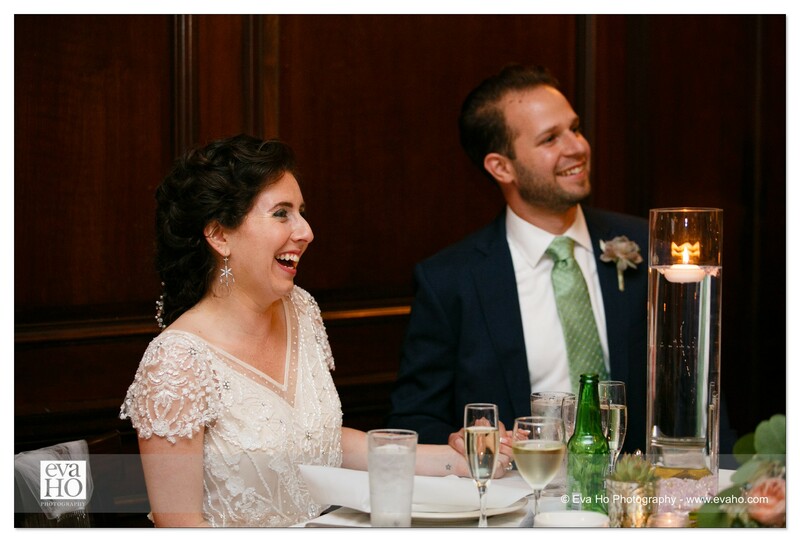 Afterwards, both the ceremony and reception took place at Salvatore’s Ristorante. 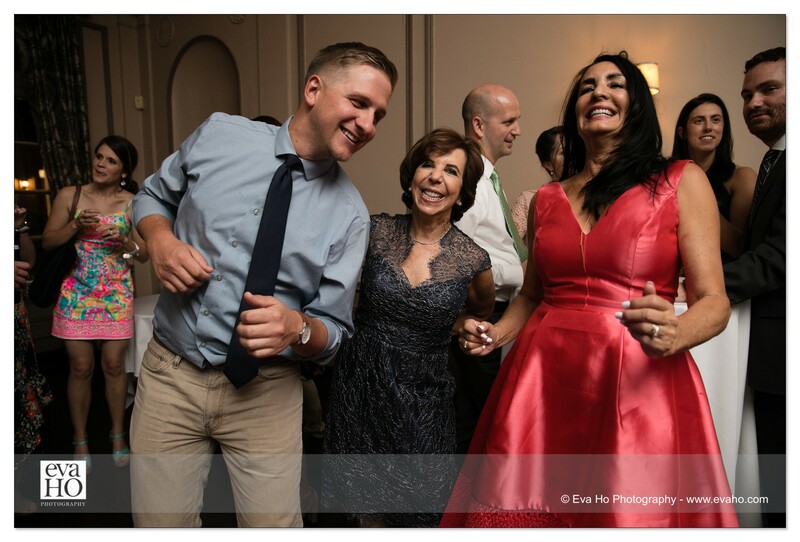 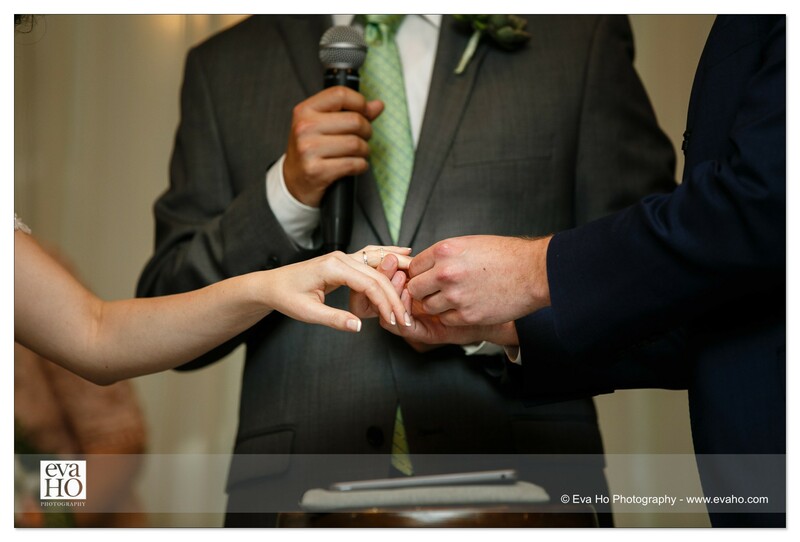 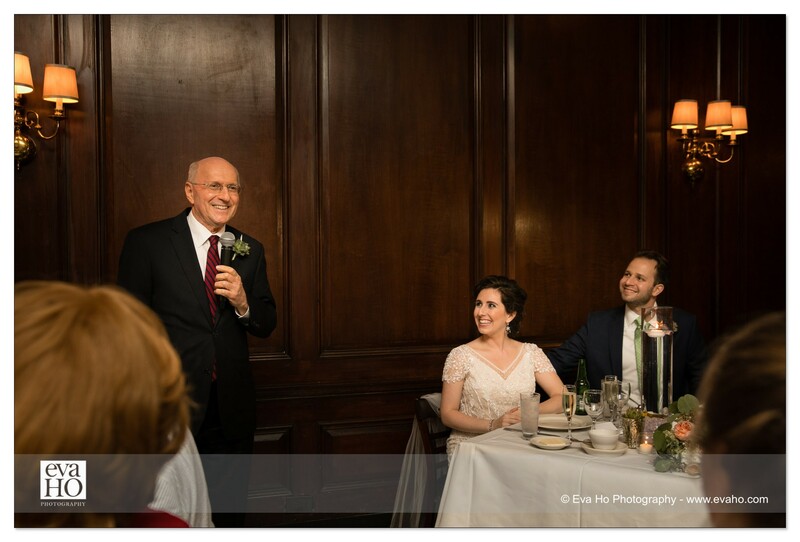 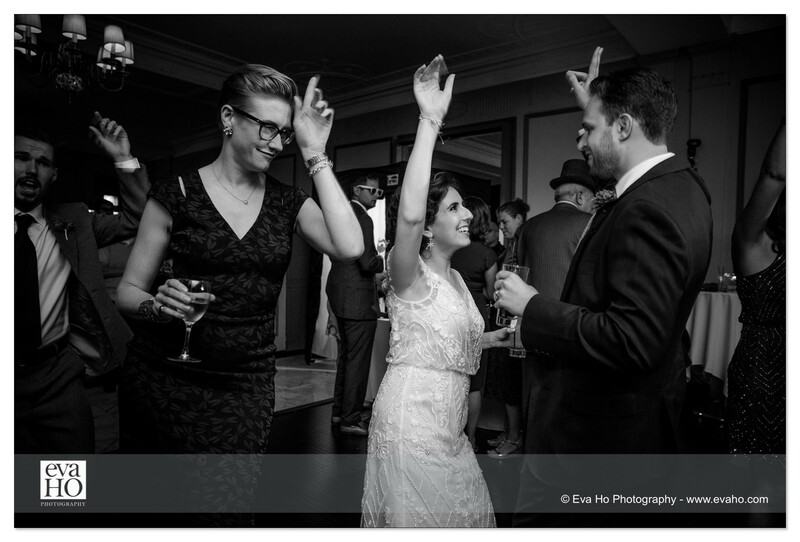 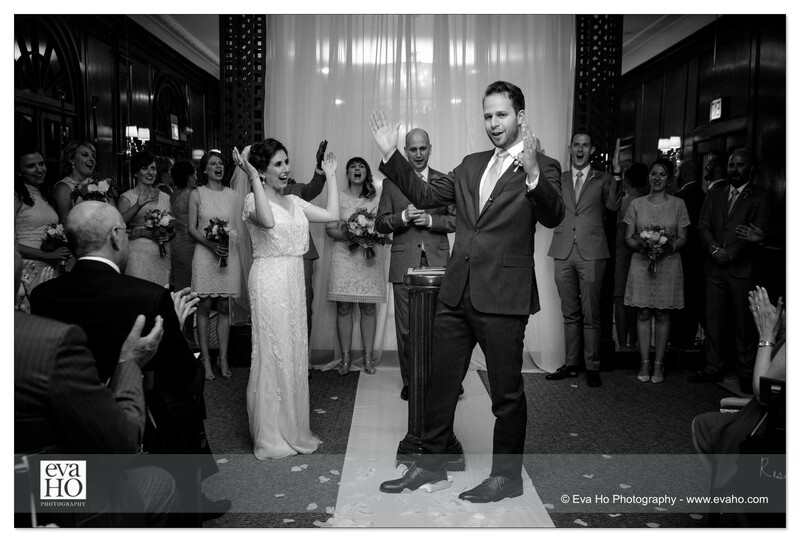 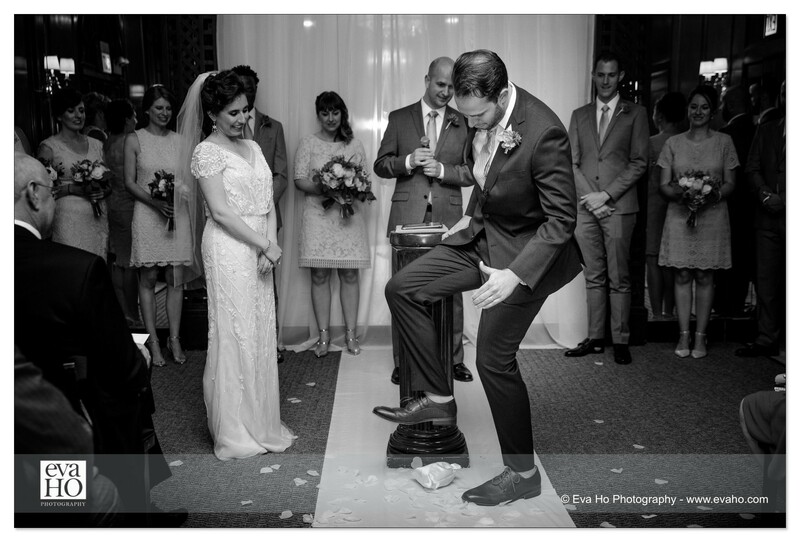 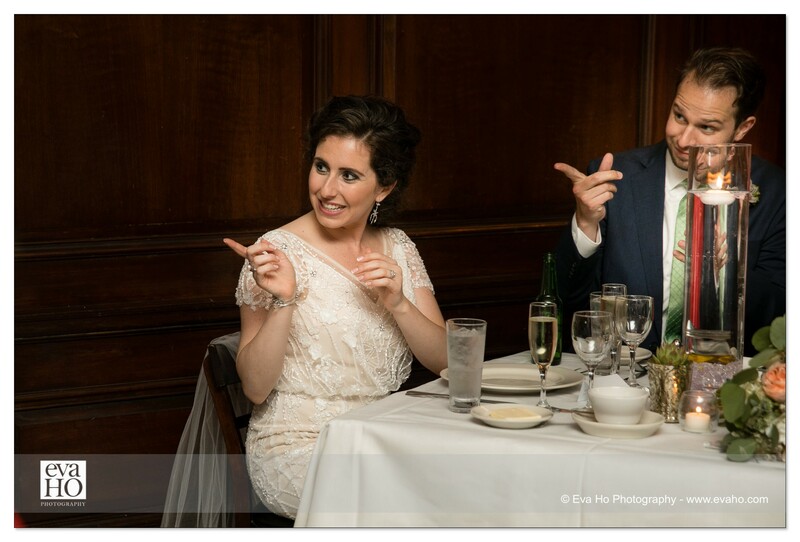 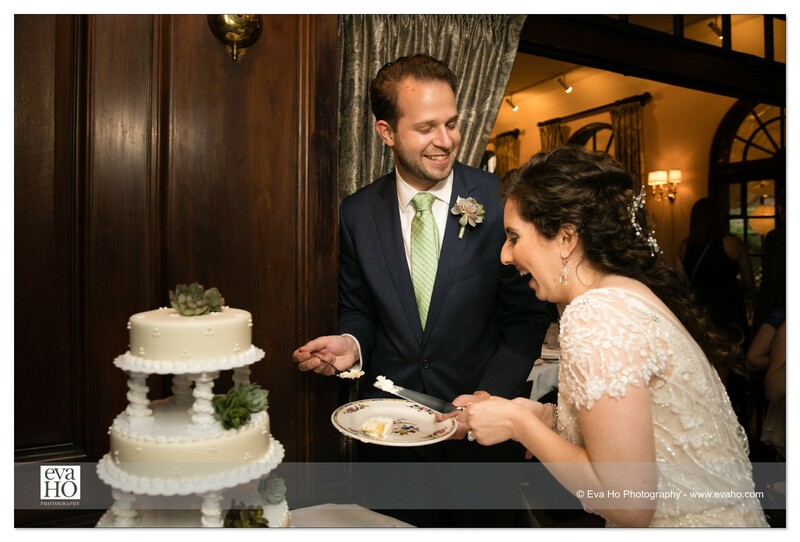 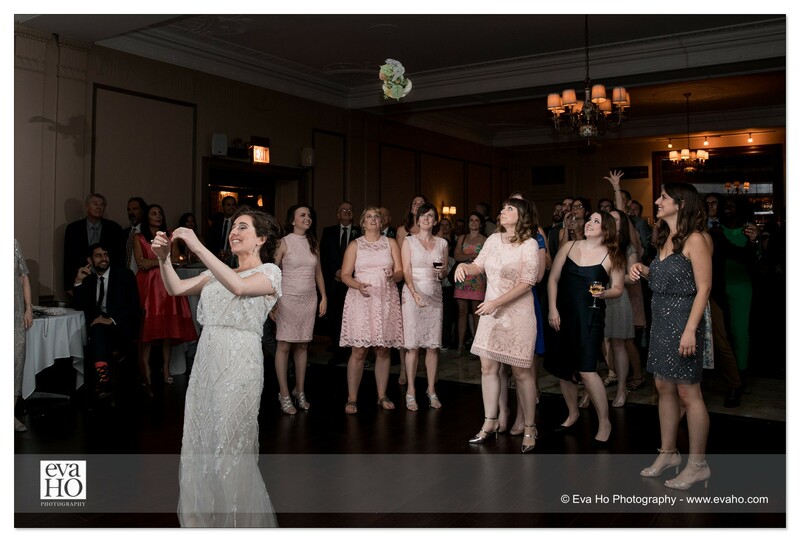 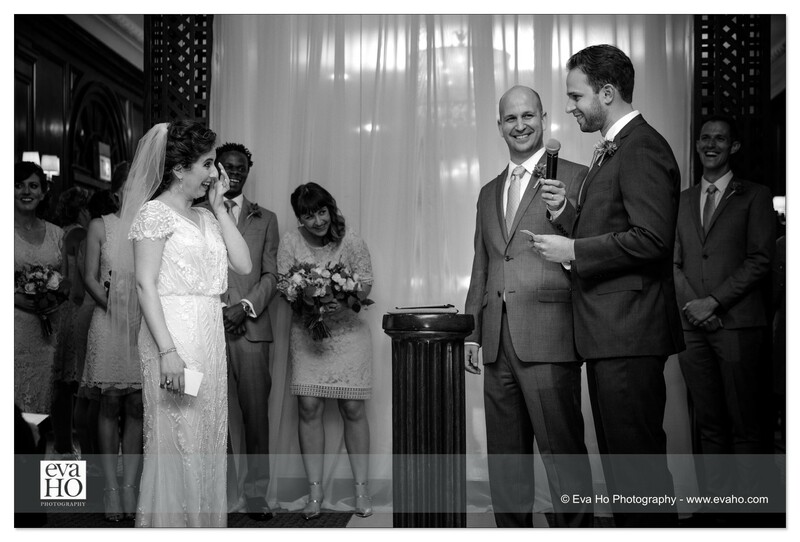 The ceremony wasn’t complete until Frank participated in the time-honored, Jewish tradition of crushing the glass, at which point all the guests happily cheered and the real party began. 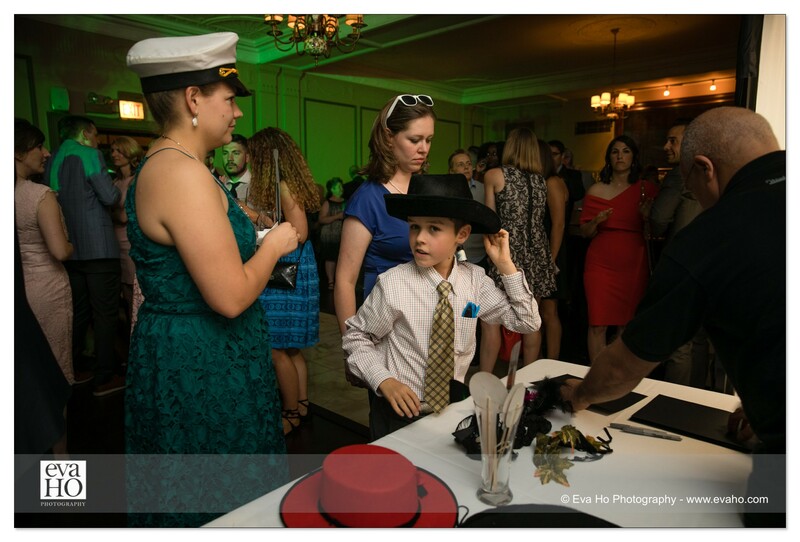 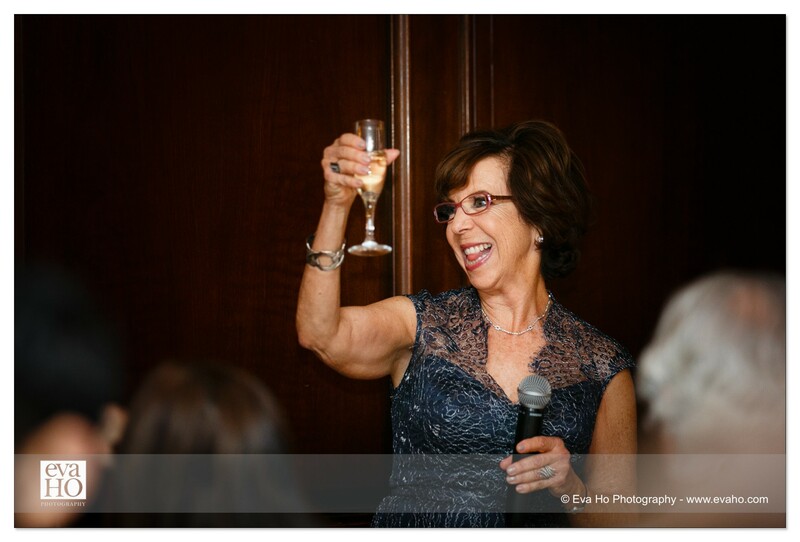 The reception was full to the brim with touching toasts, sweet moments, and joyful celebrations! 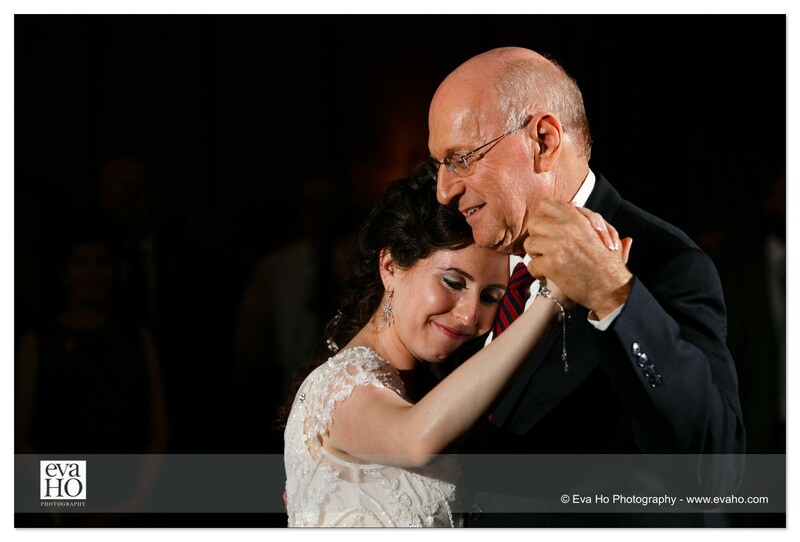 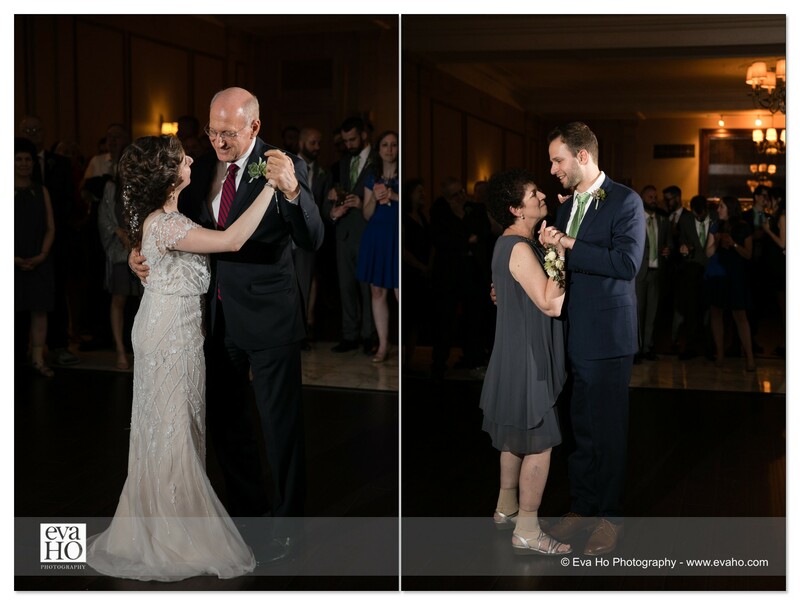 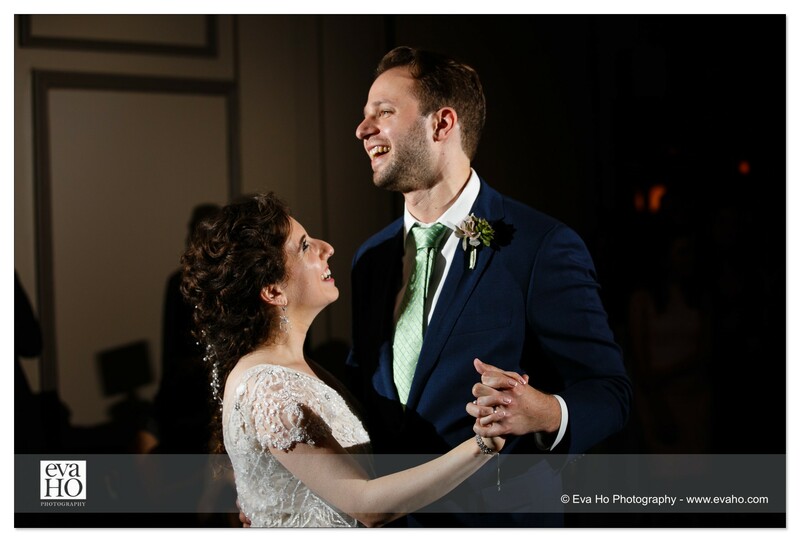 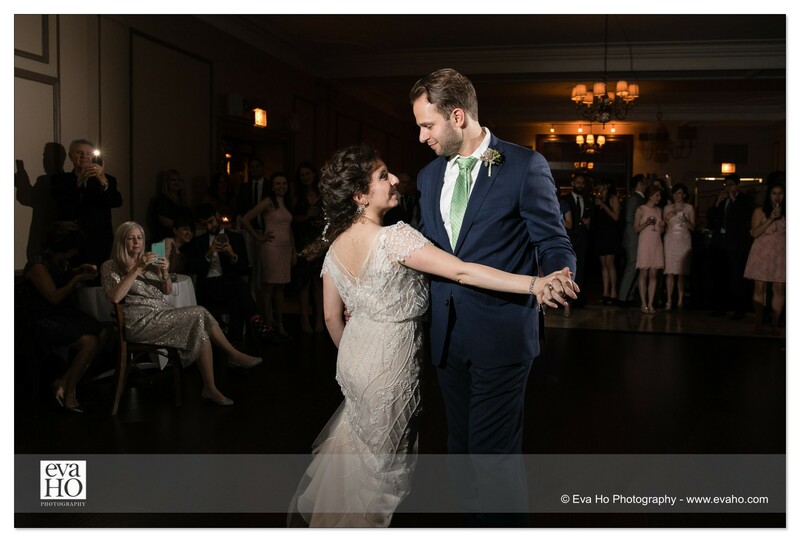 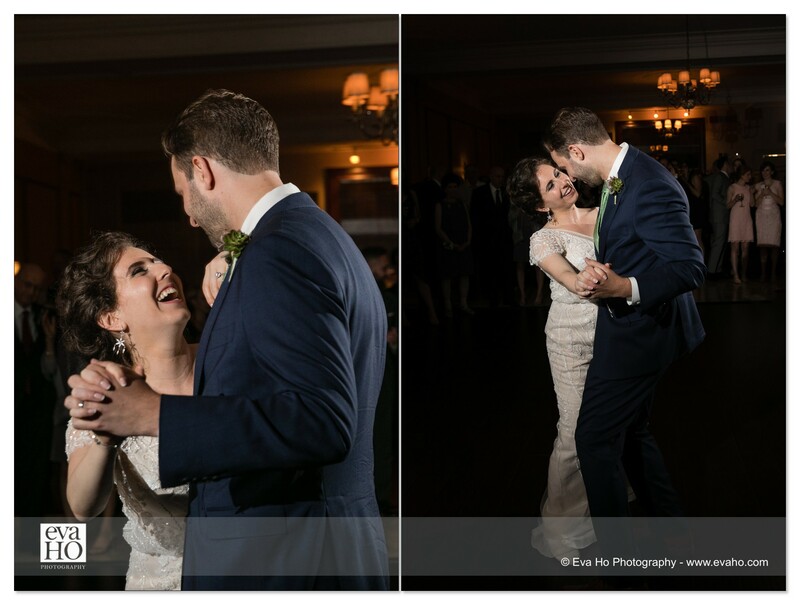 I especially enjoyed the first dance, during which you could clearly see the love and happiness shining out from Frank and Erika’s faces. 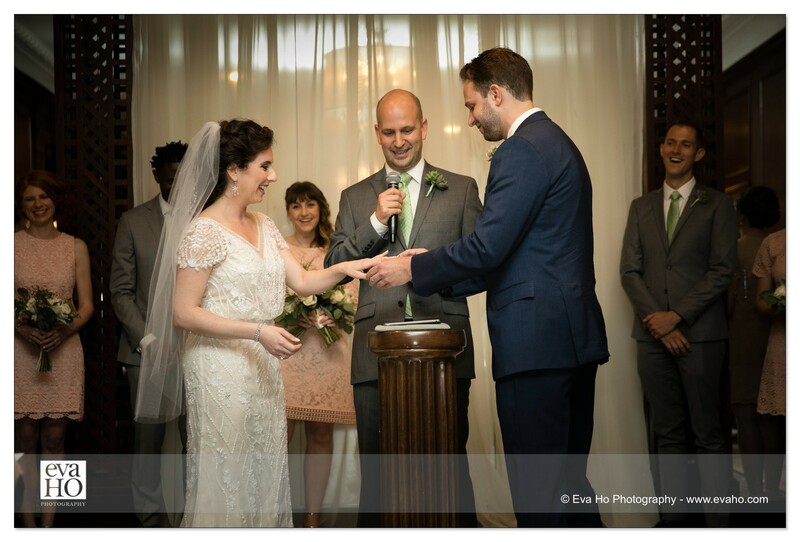 Congratulations, you two lovebirds! 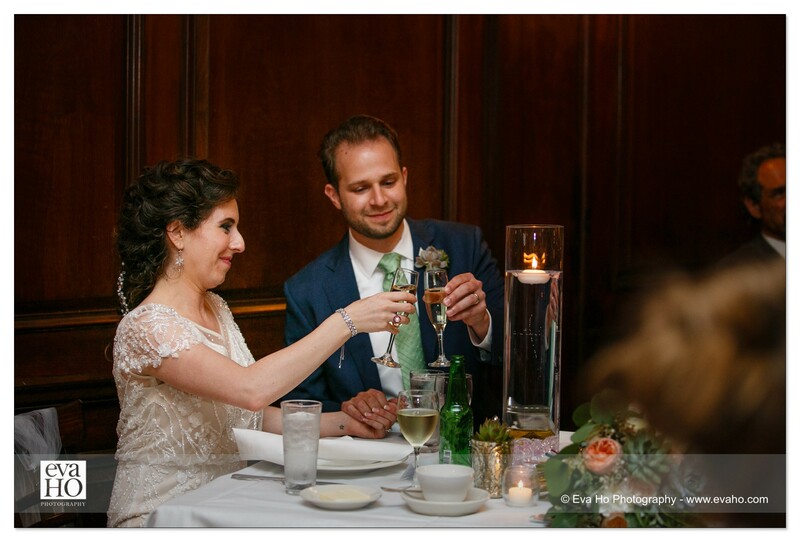 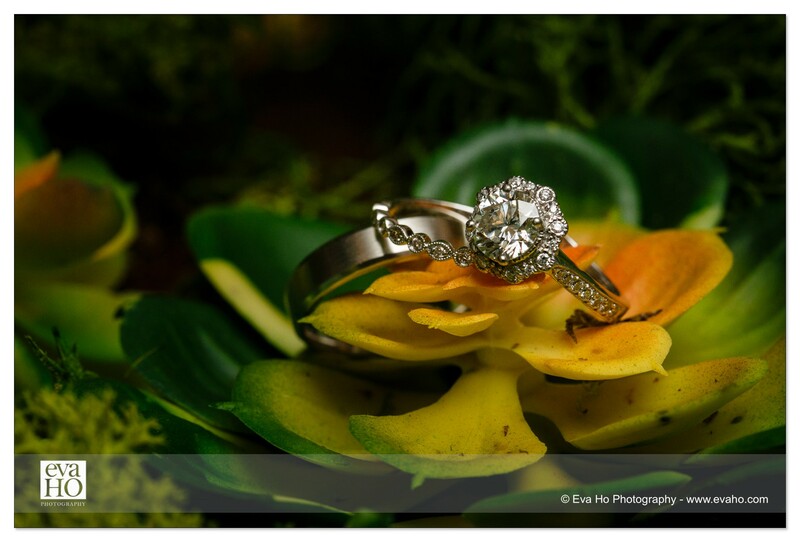 May this be merely the beginning to a long and happy marriage! 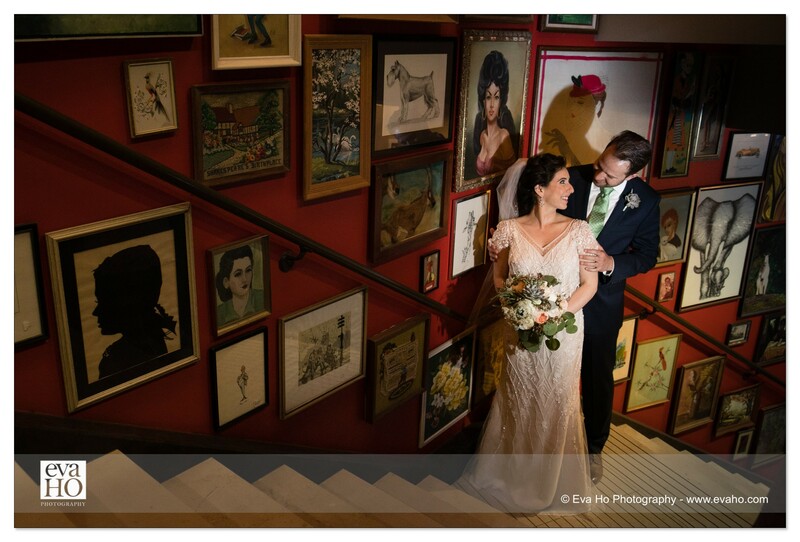 The red wall filled with framed artwork lining this staircase in Hotel Lincoln was the perfect place for a first look. 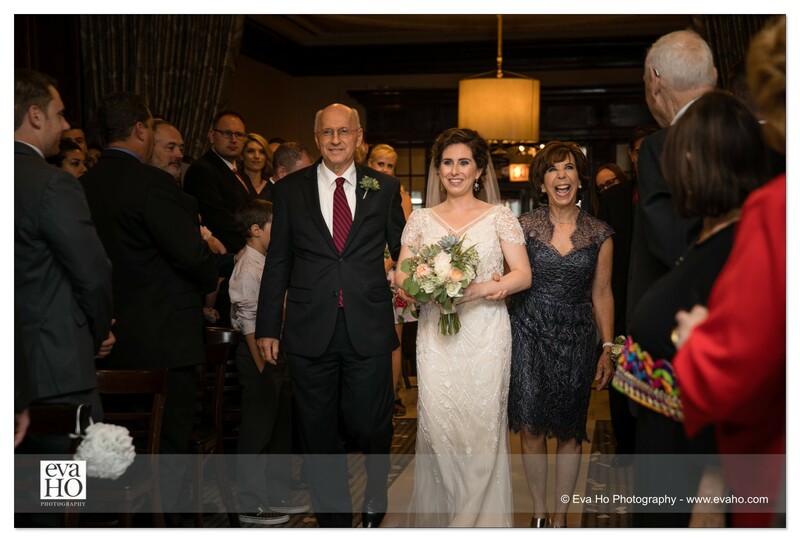 Frank’s face when he sees Erika in her wedding dress for the first time says it all! 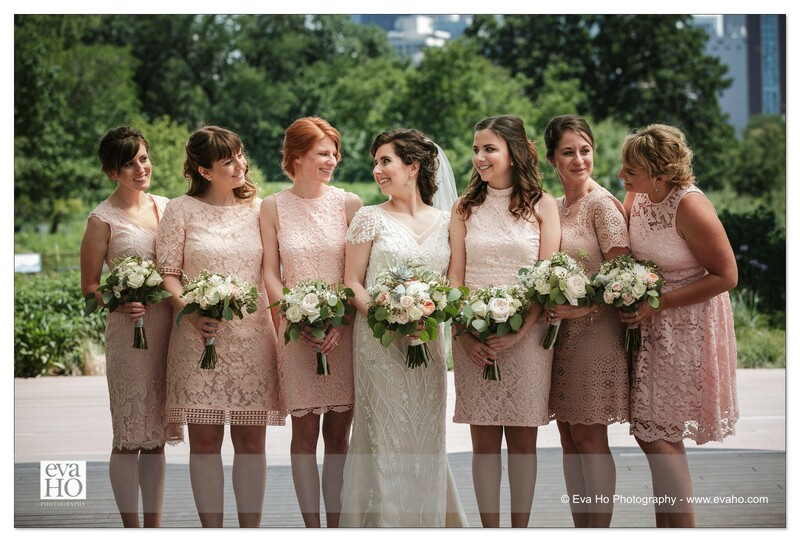 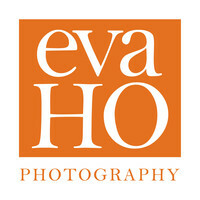 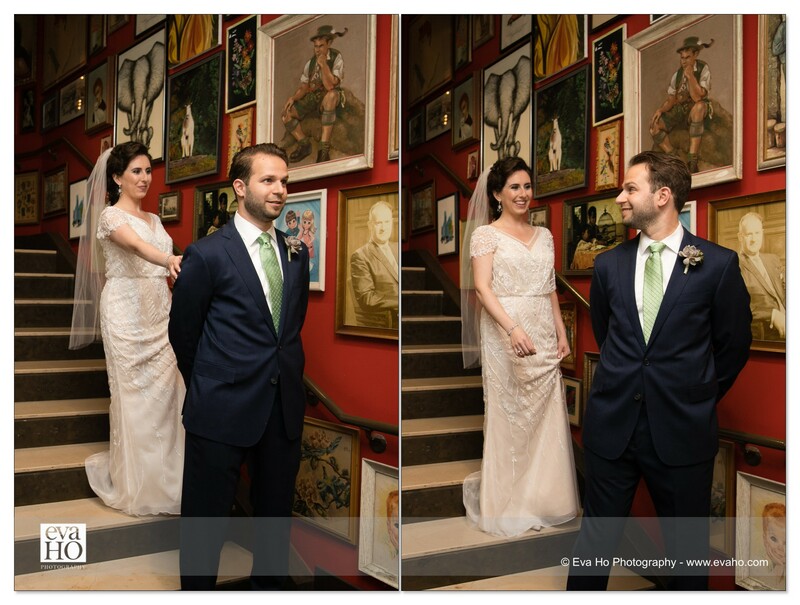 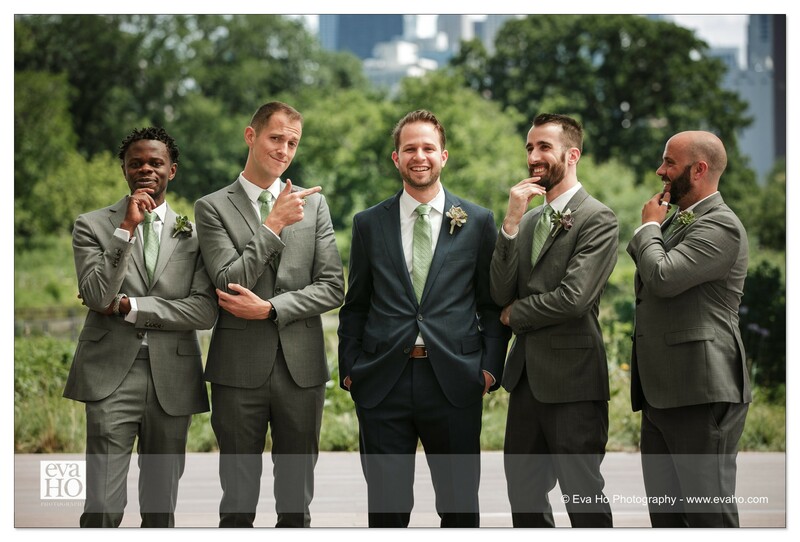 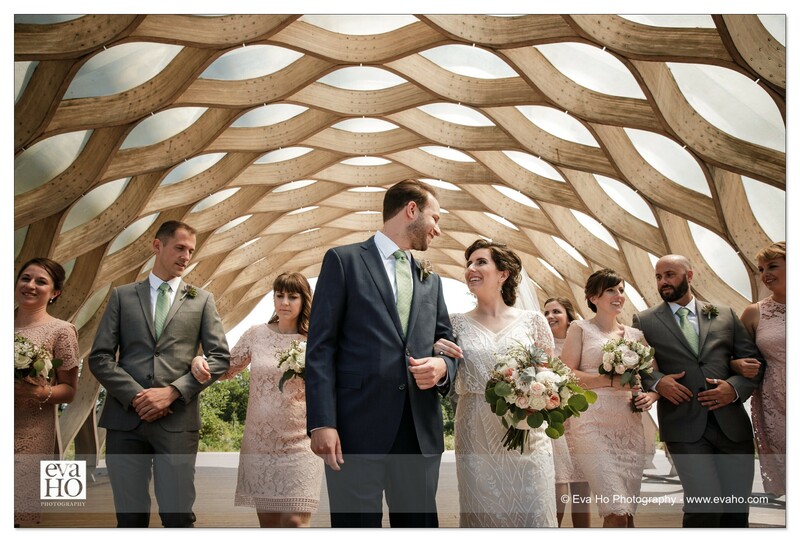 Bridal party portraits at Chicago’s Honeycomb Pavilion are a must for any classic Chicago wedding. 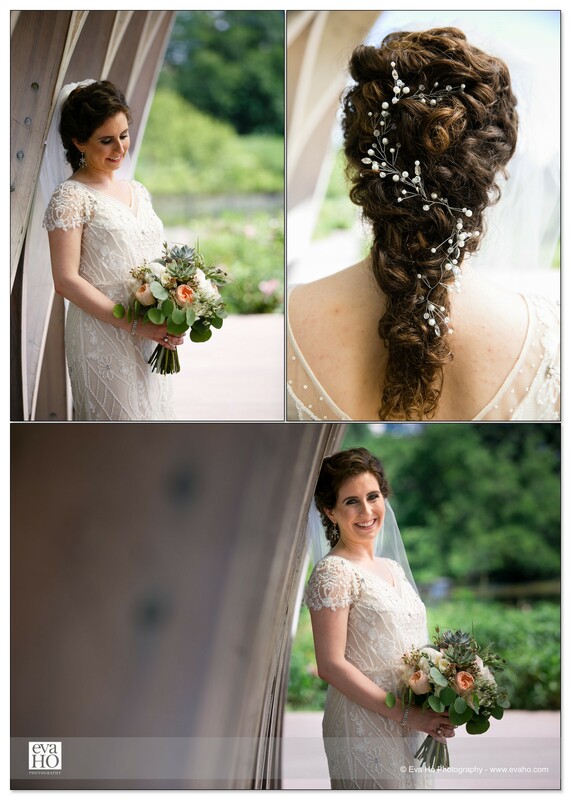 How stunning is Erika’s braid, woven through with those shimmery pearls? 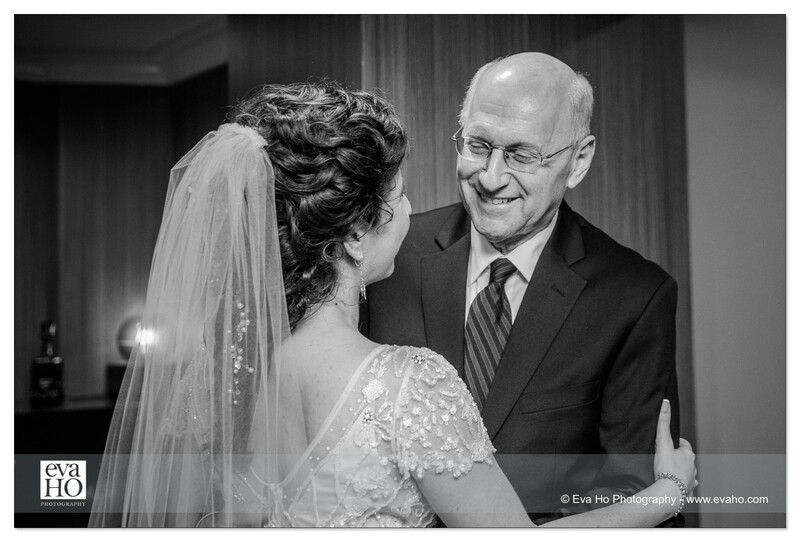 The unposed moments are my favorite ones. 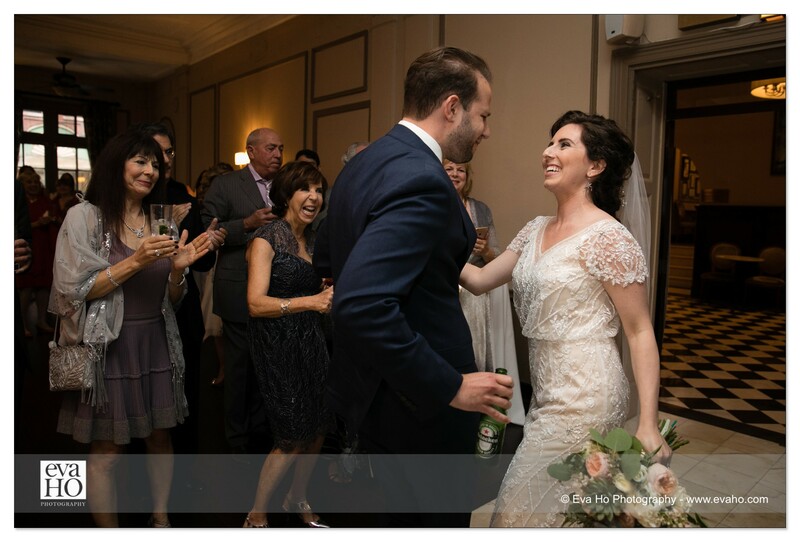 All the wedding guests enthusiastically welcomed Frank and Erika as they entered their wedding reception at Salvatore’s.